I've never met a person yet who didn't like desserts, and if someone tells me they don't like desserts, I don't believe them for one sweet second. A fun fact about remembering how to spell the word dessert verses spelling the word desert (someone told me this tip when I was a teenager), you simply think … "yes, I would like two servings please" and so the word dessert has two s's instead of one, which is found in the word desert (you know, that dry stretch of land under the scorching hot sun that has no water or shelter). 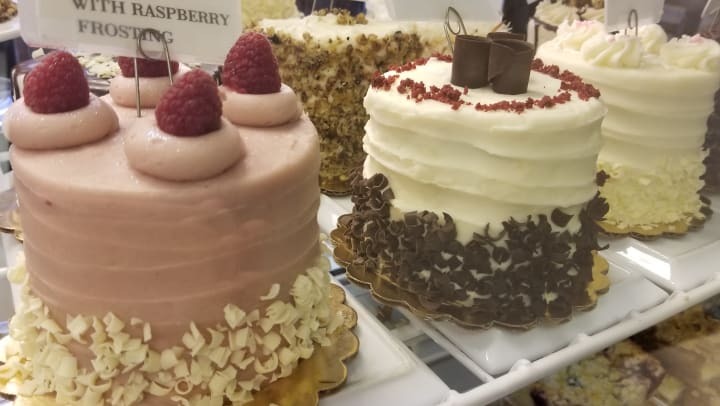 Okay, now that you will always remember how to spell the word desserts correctly, let's talk about where to remember to find amazing desserts served and sold locally. Below are some of my favorite places to get my sweet tooth on, and that happens to be quite often. And, if it were not for the many fat calories that these delectable treats add to my thighs, I would be frequenting them on a weekly basis. Black Bear Diner: Located in Oakley at 3201 Main St., this is one of those places that will first fill you up on a great American classic comfort-food dinner, with no room left for dessert. So here's my suggestion: order dessert first! We all know that 'life is short' and tummies get full fast, so if you love Triple Chocolate Brownie Sundaes, Sugar Bear's Lava Cake, Olga's Bread Pudding, Cherry Cobbler or Banana Cream Pie, order it first (get a to-go box if you have to), then order your Denver Omelette chased by an Arnold Palmer. You'll thank me later. It will also make you feel better knowing that owners Jimmy and Brenda D'Amico give back to their community by donating to charities and organizations and that they were also awarded the Ironhouse Sanitary District's first Clean Business Award in 2015! MJ's: Located in Brentwood at 655 First Street, this place has been opened since August of 2010, where owner Jennifer Hamilton has been serving (and catering) her customers breakfast and lunch 7 days a week, but now Lindsey has been creatively and deliciously building up the sweets side of MJ's, baking mouthwatering indulgences as if she were Willie Wonka himself. Baked fresh daily, Lindsey makes pies, cakes, lemon bars, and so much more! 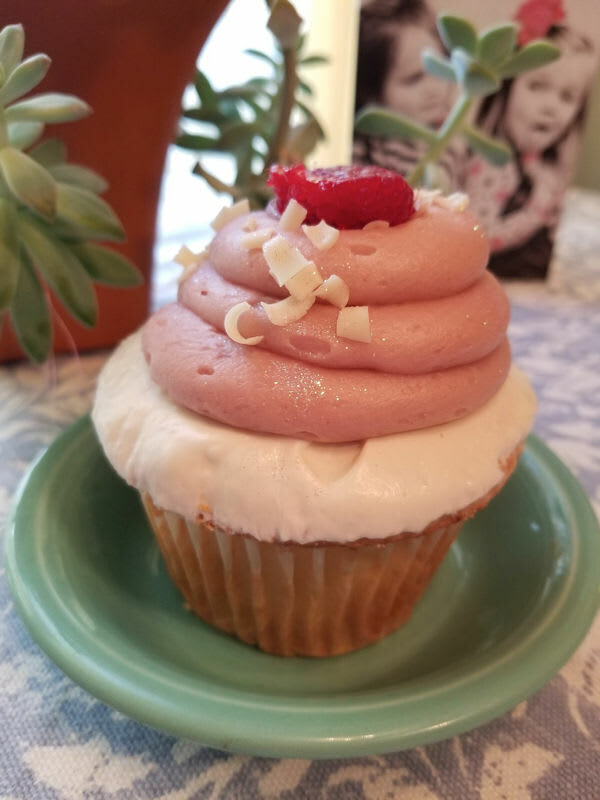 When you visit the restaurant, you feel like you're eating in someone's beautiful home, but when you take a bite of their raspberry cupcake, you feel like you're in Heaven. And if you don't want to deal with a dessert-coma, do what I do – buy a cake, lemon bar or cupcake and eat it slowly throughout the week, a few bites here and there – savory in moderation. Rivertown Sweets: Located in Antioch at 615 W. 2nd Street, they have a slogan, "Life is what you bake it!" That's so sweet, right? 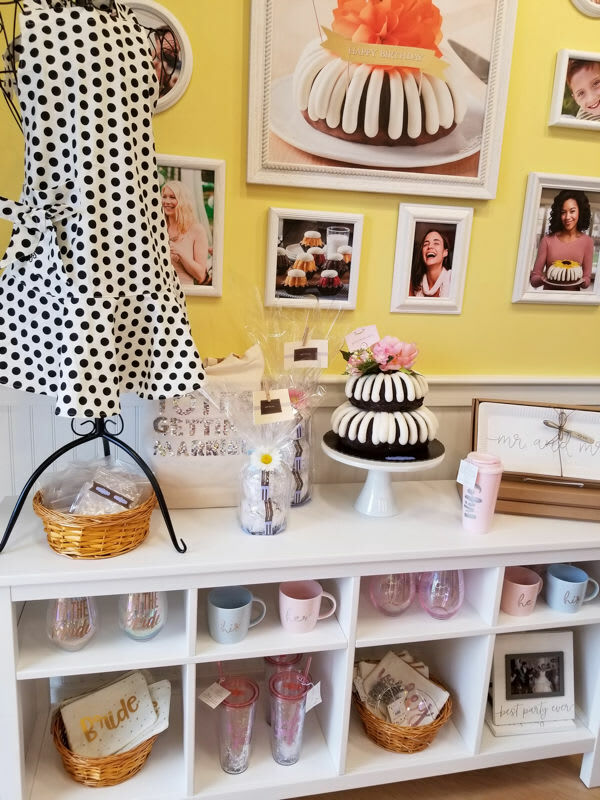 It's a family-owned bakery in the Historic Rivertown District of Antioch and they offer cakes, cookies, muffins, cupcakes, sweetbreads, pies and more. Added bonus, they also have coffees and Gelato Classico. What's adorable is their signature polka dotted red and white carry out boxes. I hate beer, but I love their Chocolate Beer and Pretzel cupcake! The names of all of their cupcakes are so adorable and each cupcake feels as though it's a meal all on its own – because of their creativity. The things they put on and into a cupcake – is mind-blowing – even bacon, if you can imagine that. You will be blown away, not only by their presentation but their taste as well. Nothing Bundt Cakes: Located in Brentwood at 6061 Lone Tree Way, Ste. B, is FINALLY open! Now you can get your tasty bundt on, because they sell them in standard cake size or mini Bundtinis. With 10 flavors to choose from, I guarantee you will not make just one trip to this Disneyland-lookalike pastry shop. The smell alone will take you and your wallet hostage. Also open 7 days a week, this little shop is big on flavor and trinkets too, so if your friends are getting married, they sell adorable wedding gifts as well as a treasure trove of unique gift items. Word of caution though, and I learned this firsthand … if you are in hurry, place your order online and you won't have to stand in line, I'm talking a very LONG line! Polar Bear Rolled Ice Cream: Located in Oakley at 2583 Main St. is the newest sweet-kid on the block. I know we are still in winter and it's raining pretty much every other day, so when you think of ice cream, you think summer. But I have to tell you, I still have cravings for ice cream no matter what season it is. Plus, the name Polar Bear is perfect for winter, right? For Polar Bear's rolled ice cream, it's all about the air – or shall I say lack of air! When they pour the liquid ice cream onto the frozen, round surface area, they meticulously smooth it out, and then roll it – it’s quite a site to see – they are ultimately removing the extra air from the cream, which is what gives it, its intense flavor. Open 7 days a week until 10 p.m. (and that's late for Oakley! ), well, 9 p.m. on Sundays, you can also add fruit and other yummy toppings to your rolled ice cream. Safeway: Located in Brentwood at 1125 2nd Street, it's one of the oldest Safeways in Far East County, and I'm sure you were NOT expecting this desserts list to include them, but I just had to. I have a friend who swears by their Signature Kitchen's fresh Strawberry Parfait! I haven't tried it yet, but I'm about to, based on her recommendation. Safeway has their own bakery and bakers, and what I do know firsthand is that their cakes, cookies, pies, all of it, are amazing. You can order ahead of time and have them decorate your cake to your specs. If you have a photo, they can even copy that photo to place an edible version of it on top of your cake to custom-design it for that special someone in your life. Self Storage and Sweets Go Together! At Cypress Self Storage, we are Oakley's newest self storage facility (currently under construction). Moving into a self storage unit can take time and energy. That's why it's so important to stay nourished and treat yourself to some sweets! We think it's a great idea to pair a sweet (or two) with your moving and self storage day. We look forward to meeting you later this year when we open our new self storage facility for business.